It has finally happened. LinkedIn has caught up with Facebook, Instagram, Twitter and YouTube, and launched video ads. Online videos will account for more than 80% of all consumer internet traffic by 2020 (CISCO). 60% of marketers use videos in their social media marketing (Social Media Examiner). 73% of marketers plan on increasing their use of videos (Social Media Examiner). 43% of people want to see more video content from marketers in the future (HubSpot). Companies which use videos in their marketing grow revenue 49% faster year-on-year than those which don’t (Aberdeen Group). Companies which use videos in their marketing enjoy 27% higher CTR and 34% higher web conversion rates than those which don’t (Aberdeen Group). Additionally, the recent negative attention surrounding Facebook has caused many advertisers to search for different options. Read on to learn more about the new LinkedIn video ads. Like other LinkedIn Sponsored Content ads, video ads include a 70 character headline and 150 characters of introductory text. Unlike image ads, the new video ads also have a call-to-action button. You can choose from “Learn More”, “Apply Now”, “Download”, “Get Quote”, “Sign Up”, “Subscribe”, or “Register”. One thing to keep in mind is that currently, video ads and image ads cannot live in the same campaign. When you’re creating a campaign, you must select your ad format during setup. Therefore, if you would like to test a video against an image, you must create a separate campaign. 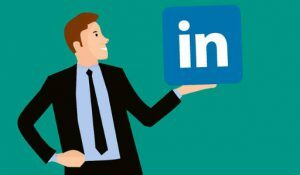 Videos are often seen as “top of the funnel” marketing for brand awareness, but LinkedIn has long been a source of solid performance and quality leads for B2B marketers. The best thing about LinkedIn’s new video ads is that the same great targeting options are available, including targeting by job title, seniority, industry, company name, skills, as well as Matched Audiences (website audiences and uploaded email list audiences). You’ll have access to the same performance metrics you’ve always seen in the LinkedIn ad platform – from impressions and clicks, to likes and shares, as well as conversion metrics if you use the LinkedIn Insight tag. In addition to all of this, you’ll also find a new tab at the top of the performance metric table called “Video” where you’ll find great video engagement stats: views, view rate, estimated cost per view, views at 25%, views at 50%, views at 75%, complete views, completion rate, and full screen plays. Now that you know all about LinkedIn video ads, test, test, test! Comment below and let us know how they perform for you.